Long time campers know you can spend quite a bit on camping accessories after you’ve purchased the camping vehicle. Whether you’re camping in an RV or a tent, there are a few things that most campers will love to get under the Christmas tree. Camping Cards – There are some adorable designs to choose from and Etsy,com – Camping Cards seems to be the place with the most variety. 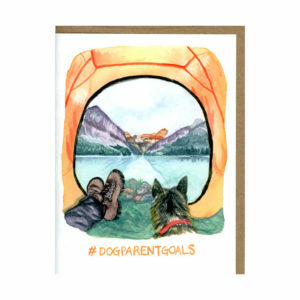 You can choose fun cards about the ups and downs of camping or a pack of note cards with envelopes to send to all your non-camping friends. There aren’t many of these that a camper wouldn’t enjoy having so you can feel pretty confident that your gift will be enjoyed. Headlamp – Kids will love these and adults will put them to use. A camping headlamp is one of those items you aren’t sure you’ll use until you have one. Then you find lots of ways it can be of assistance in a pinch. It’s a good thing to keep packed with your gear, along with extra batteries. Heck, you can even use it to read at night when everyone else has gone to sleep. Warm Socks – No matter when you camp in Pennsylvania, you can run into some cool mornings and evenings. Having several pair of nice, thick, cozy socks for each person will be just what you need at such times. You and the kids can slip them on if you feel chilled and then just set them aside when the day warms up. Use them almost like slippers and they’ll help keep the rest of you warm as well. We hope your holidays are wonderful and filled with family & friends. Who knows, maybe if you’re lucky some of these best camping gifts will find their way to you this year.